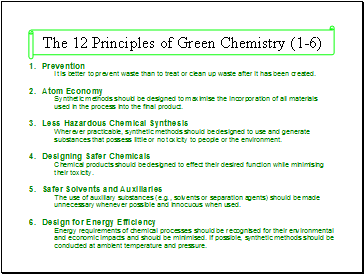 Green Chemistry is the utilisation of a set of principles that reduces or eliminates the use or generation of hazardous substances in the design, manufacture and application of chemical products . 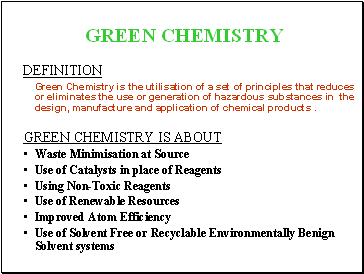 Green Chemistry Is About . 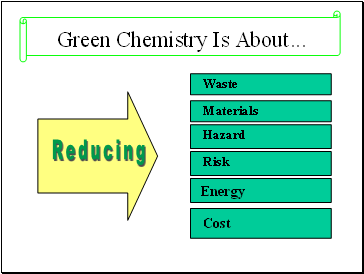 Why do we need Green Chemistry ? 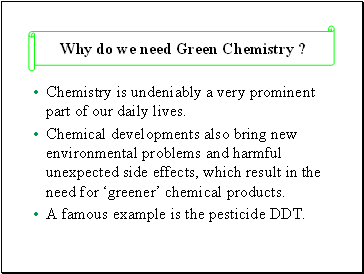 Chemistry is undeniably a very prominent part of our daily lives. Chemical developments also bring new environmental problems and harmful unexpected side effects, which result in the need for ‘greener’ chemical products. A famous example is the pesticide DDT. 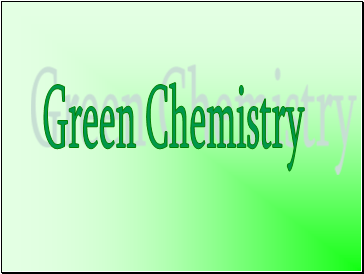 Green chemistry looks at pollution prevention on the molecular scale and is an extremely important area of Chemistry due to the importance of Chemistry in our world today and the implications it can show on our environment. 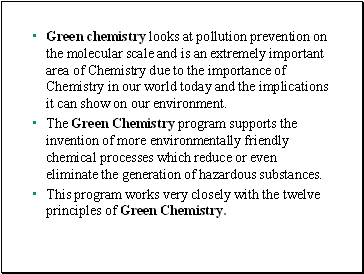 The Green Chemistry program supports the invention of more environmentally friendly chemical processes which reduce or even eliminate the generation of hazardous substances. 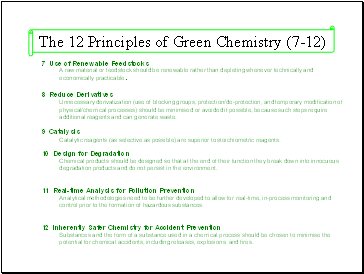 This program works very closely with the twelve principles of Green Chemistry. Unnecessary derivatization (use of blocking groups, protection/de-protection, and temporary modification of physical/chemical processes) should be minimised or avoided if possible, because such steps require additional reagents and can generate waste.